File Santa brings gifts to St. Joseph Hospital in December 1947. 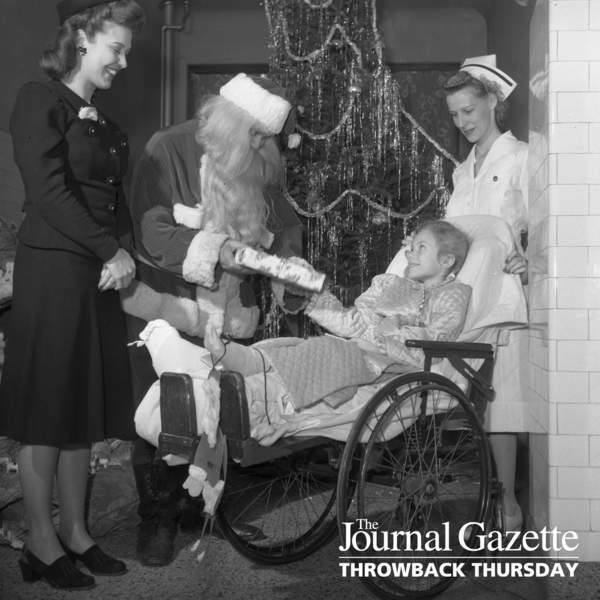 In this photo from The Journal Gazette's archive, Santa visits St. Joseph Hospital with gifts for patients in December 1947. Throwback Thursday appears each week on The Journal Gazette's website and social media accounts. To make suggestions, email Corey McMaken at cmcmaken@jg.net.